Health, sports, fitness & fun! 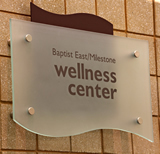 At Baptist East/Milestone Wellness Center, our goal is to provide a fun, exhilarating and motivating experience for members of all ages and fitness levels ― whether your interest is in athletic excellence, physical fitness, general health and well-being, or simply camaraderie, fellowship and friendship. Whatever your needs, Milestone calls you to work out, play, just relax and most of all, have the time of your life! A wide variety of activities and equipment to keep your interest and help you achieve your goals. 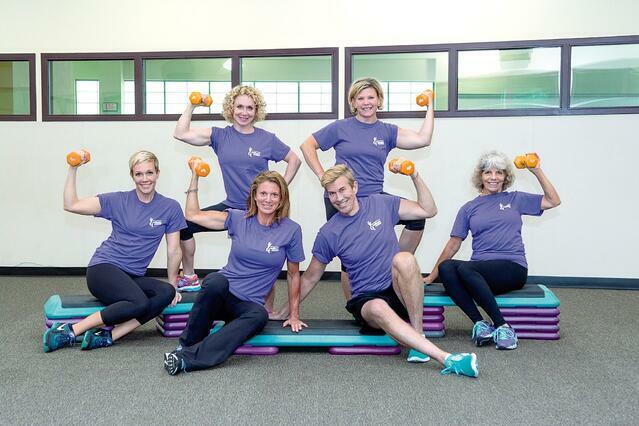 Easy-to-use strength and cardiovascular equipment, with friendly staff to assist you. Clean and neat ― we are obsessive about cleanliness! Friendly and helpful professionals are on site at all times. Our staff members are all ages ― just like our members! Enjoy an ever-changing variety of health and fitness programs. Classes and workouts are geared to a variety of fitness levels. Our prices are competitive with other clubs in the region. Membership provides the best value for your recreational/entertainment dollar – and it’s good for you! Visit us for a complimentary tour. There are no high-pressure tactics – you be the judge! Membership at Milestone is an active, healthy lifestyle experience! We take special pride in our reputation as one of the great health clubs in America, as well as being an integral part of Baptist Healthcare System ― one of the finest healthcare systems in Kentucky.